Coaches can integrate HRV with ithlete and biological monitoring devices for measuring the conditioning progress of athletes. By tracking HRV, coaches can determine what is happening during the season and monitor responses to training and competition. Current rehabilitation programs can use HRV to guide medics on how much stress an athlete can tolerate with Return to Play programs or situations where risk management is necessary to benchmark before discharge. The difficulty with monitoring speed and power athletes is the lack of non-invasive options to score and analyze fatigue of the nervous system. Coaches can observe parasympathetic reactivation from training with the ithlete system. The current HRV research demonstrates that parasympathetic nervous activity mirrors recovery status in weightlifting, and repeated sprint training also can be monitored by HRV as well. Improving restoration after strenuous training and competition is vital for development and safeguarding against injury due to fatigue. With morning sampling or kiosk options at the team’s facility, coaches can gauge not only the recovery from workloads, but the effectiveness of recovery modalities such as thermo therapy, stress management, nutritional interventions, and soft tissue therapy. Coaches have an array of variables to manipulate, but often it comes down to the right amount, at the right intensity, and at the right time. How much, how hard, and when are the key variables that coaches must juggle each session, ithlete can help increase the precision of the daily dose of training. The ithlete Team System works with existing injury reduction strategies, directing both sports medicine and performance training. Injures can make or break a season, for years enormous resources and efforts have been invested in to the prevention and reduction of non-contact injuries. Many organizations have found great systems and methodologies to help fight the injury bug, but without clear objective data on the physiological recovery status, teams still have a long way to go. Using ithlete to monitor HRV is not a replacement to current methods, but a way to compliment successful methods for better results. Using ithlete can open coaches to new avenues of monitoring to further reduce injuries with teams. This affordable biofeedback training tool will finally give you the competitive edge you’ve been looking for. 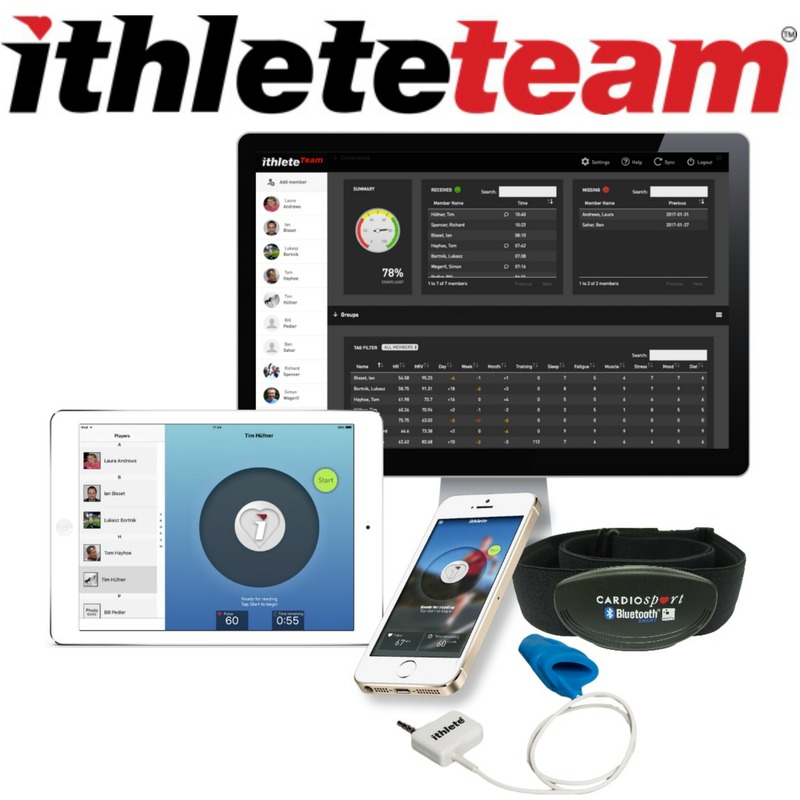 The ithlete Team System allows players to measure HRV from the convenience of their own home in just 60 seconds each morning, or under coach supervision at the training center. Launched in 2009 ithlete are the pioneers of HRV measurement on the smartphone and have remained at the forefront of best practice and scientific recommendations. Feedback from users, including NFL, EPL and Aussie Rules teams, has been incorporated to bring this affordable solution to team settings. In my role as a strength and conditioning coach, HRV has become a very important information about the daily state of my player (s). How much stress is in their body, how well are they recovered from last training session, what was the sleep quality? These are important answers you get from the system. ithlete is a quick, easy, and non invasive measure of readiness and fatigue. It takes a few minutes, and your test is stored in your phone. With the Team App, I get the test results even quicker on my computer, before the players arrive at the club, so I can make comparison between them, and immediate changes to training.